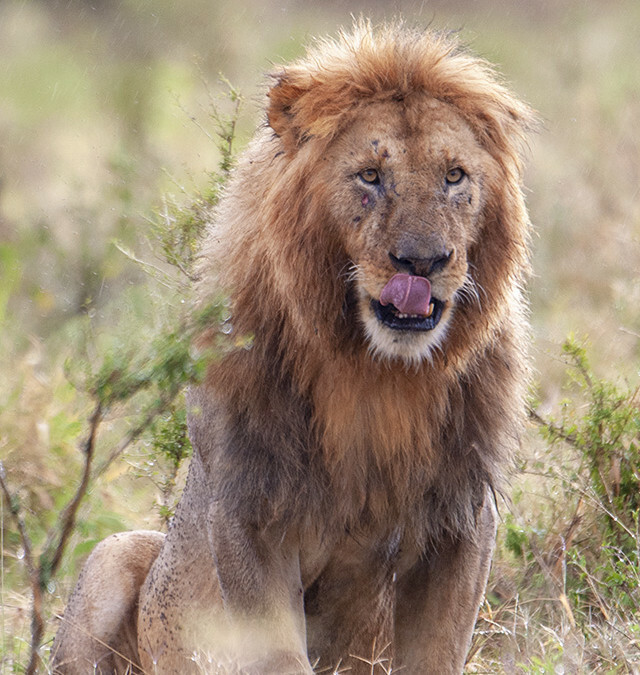 The younger of the two African Lion brothers, that we spotted at a Buffalo kill, gave us some amazing photo ops, but we never got a good angle of the older sibling. 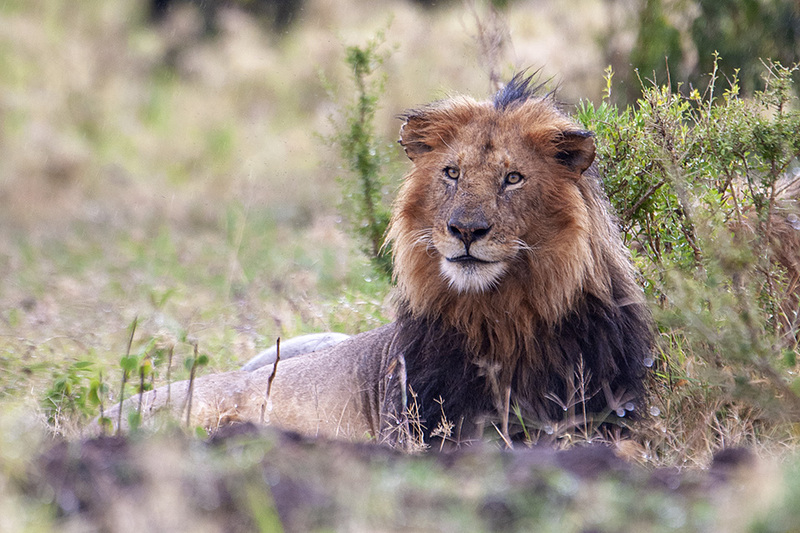 That desire was also fulfilled when the older African Lion turned around to face us. When the African Lion brothers settled down for another siesta, we let them be and headed in search of other game. 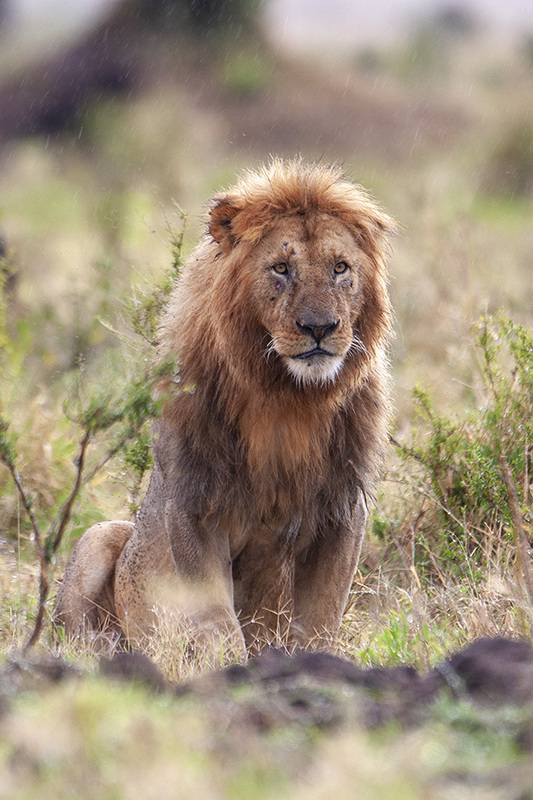 The late afternoon showers had turned on a rich hue to the amazing Maasai Mara Savannah. As we drove back in the direction of the Mara Serena lodge, we were stopped in our tracks by an African Lioness that was very close to the road. Our driver and guide was quick to spot that this Lioness was in hunting mode. I kept my camera focussed on the Lioness as it stalked an invisible prey somewhere in the bushes ahead. 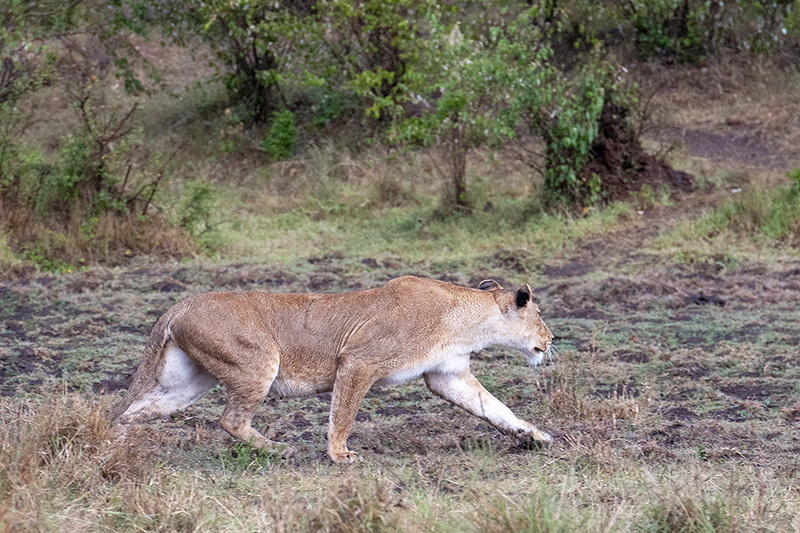 As the Lioness disappeared into the bushes, we heard an alarm and something running away from us and in an instant another Lioness broke cover, in full speed, again headed away from us. 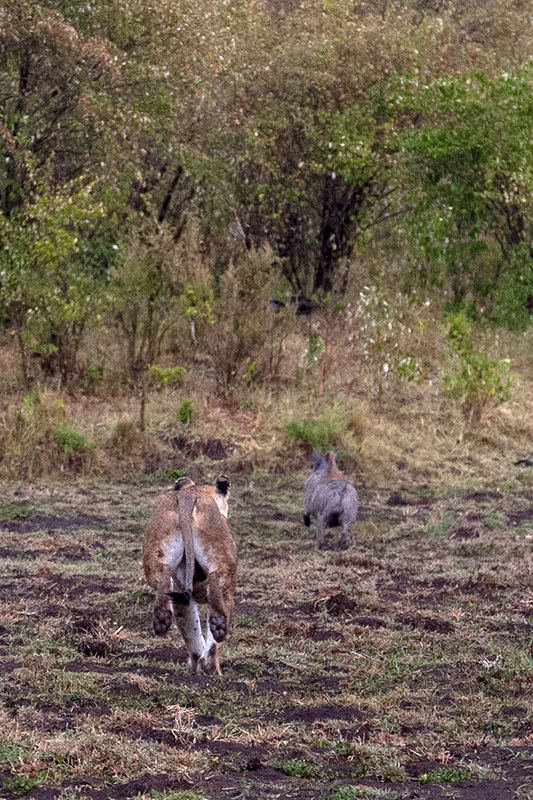 The suspense of the prey was soon revealed when a Warthog emerged and the chase was on. 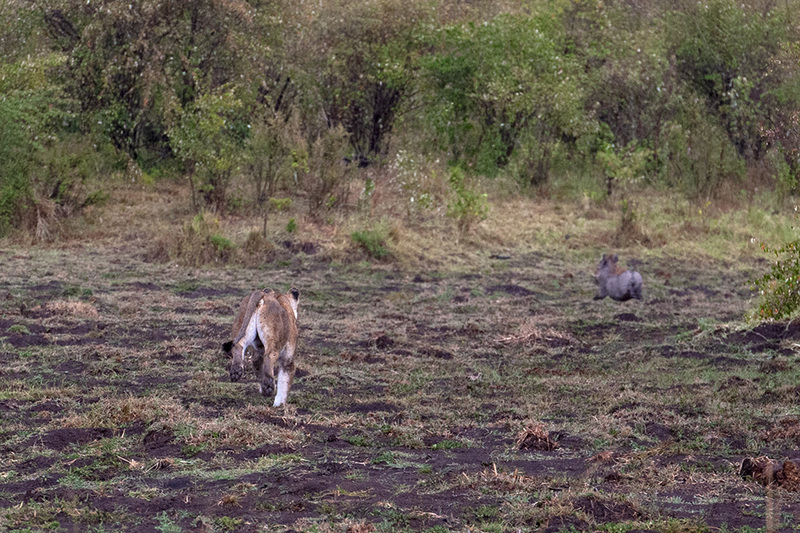 Unfortunately the chase was over even before it started since the Warthog was too fast for the second Lioness. In hindsight, it looked like the first Lioness was supposed to sneak up on the Warthog and chase it towards us, where the second Lioness was waiting. But the Warthog went the other way and the whole chase was aborted.